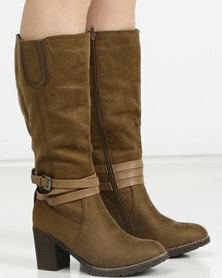 Boots that rise to the knee or slightly below the knee have become a prominent fixture in women’s wardrobes. 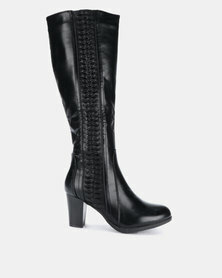 Knee-high boots are a winter staple and the high heeled variation is an extension of the trend. Our online selection ranges from black leather boots, suede boots and patent upper boots, carefully selected to suit a broad range of style aesthetics and daily looks. 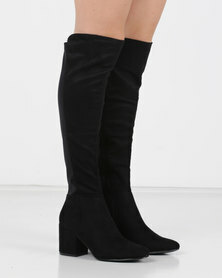 Make these stylish heeled boots the one trend you own, this coming winter!